Developing tea party ideas includes thinking through every aspect of your event from the theme to the décor and from the invitations to the menu. Yet, this imaginative planning process can be quite enjoyable with a little organization and some ideas to get your creative juices flowing. Whether young or old, tea parties represent a wonderful opportunity to socialize with friends and loved ones, while experiencing something new and different. Developing tea party ideas includes thinking through every aspect of your event from the theme to the décor and from the invitations to the menu. Yet, this imaginative planning process can be quite enjoyable with a little organization and some ideas to get your creative juices flowing. As the host or hostess, consider the planning of your event as an extra bonus in anticipation of the fun you will share. When you begin thinking about hosting your party, consider the "Five W's" of creating and planning any event. After reviewing the following, you will be better prepared to formulate your tea party ideas and to proceed with planning your event from A to Z. Who do you want to invite? Is the tea party for adults or children and how many do you want to attend. What type of experience to you want your guests to have and how do you want your party to be remembered. For example, do you want the event to be experiential where everyone dresses up in a special way, such as wearing period clothing or a favorite hat? Or, do you want music or poetry shared at your tea to serve as a lasting memory? Special guests (or animated characters), speakers and other entertainment make for a magical event your guests will long remember. Where will it be held? The intimacy of hosting a tea in your home creates a warm, comfortable atmosphere. Having an outside event where tables are set up in a garden is another example of an alternative to consider. The location will also dictate how you decorate and serve your guests. When do you want to host the event? Any time of year is appropriate for a tea party. Yet you may want to use the season as part of your theme and have it be the guide for choosing decorations, flowers, and food selection. Why are you planning the party? Whether you have a specific purpose such as a birthday, anniversary, retirement, charity fundraiser or want to have a tea to simply enjoy quality time with friends, you can to create an experience as simple or as elaborate as you desire. Once you have answered these questions, you should have a multitude of ideas to begin planning your event. 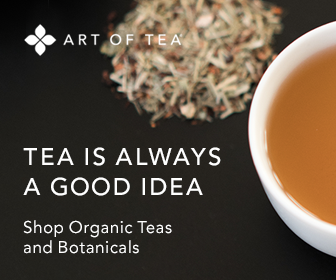 Your tea party ideas are only limited by your imagination. Above all, it is important to make the event your own – a party you will enjoy. Then you can feel confident that your guests will also have an experience they will treasure for years to come.